We stayed at this ryokan while visiting the snow monkeys. The staff was incredibly helpful and kind. We had a 30 minute window where we could reserve the private onsen. It was amazing in the middle of winter while it was snowing. They event dusted off our car when we left. Would definitely recommend this! Had a 2-nights pleasant stay at Yudanaka. The hosts were very welcoming and service was exceptional. The host spoke good english and food was superb!! Private onsen is a plus. They also went the extra mile to await our arrival at the station to shuttle us to the accommodation. There’s also free shuttle service to the Snow Monkey Park in the morning. Highly recommend this ryokan and to go for the dinner at least once! We spent 2 nights at Yudanaka Tawaraya Ryokan with our 4 year-old daughter. The Ryokan was just 5 mins away from Yudanaka station if you go down along the slope. Just a bit slippery when the slope is filled with snow, but it’s fine to walk slowly holding the handrail. The Ryokan is in tradition Japanese style operates by a family. The owner and her family members were very nice and very helpful. It always fully booked during peak season as they only provide around 10 rooms. It’s good to keep the business small so they can pay full attention to every family and respond quickly for their needs. Every family could reserve a time slot for private bath at the hot spring. It was a very nice experience when it was snowing and the snowflakes fell on your head. The Japanese style dinner and breakfast were amazing! They provided udon and desserts specially for my daughter too! We were so appreciated for their detailed minded. Don’t miss the free shuttle to the snow monkey which was 15 mins drive only. The second night we didn’t have our dinner there, they had a map which showed their recommended restaurants nearby. Highly recommended the traditional Japanese little home-style restaurant called “Isyokutei komadori”. Full of childhood memories when you first entered the restaurant. Price was cheap but food was very delicious! Just 1 min walk from the Ryokan. We enjoyed our stay there and we love this little town so much! The staff took great care of us, and the facilities are terrific. You can reserve the private bath for time by yourselves, and it's beautiful. Especially loved relaxing in the hot spring surrounded by snowy trees. The mother and daughter team who run this ryokan are very hospitable. The daughter can speak very fluent English and she tries her best to accommodate our request. The restaurant 三河亭 that she recommended is really good. Service is really good. The lady we interact with speaks really good English. The outdoor bath is really beautiful, especially with snow. Breakfast is good and so is dinner. Its a little hard to find though and the area is quiet, so it's good for those who wants somewhere peaceful. Can get crowded over the weekend though. The stay was pleasant and restful, with the meals and the Onsen as the major attractions. The staff went out of the way to meet our dietary requirements. We are very impressed with their sense of professionalism. Strongly recommend to stay here if you wish to visit the Jigokudani Monkey Park. Great place, the hosts who have run the place in the same family were so nice, we felt totally at home! Rooms were nice, importantly warm for our visit. Inside his & her onsens were excellent as was the outside one we booked for 30 minutes outside! 100% I tecomrnd this place as excellent value for money! Staff was extremely friendly. I was the only non-Japanese guest that night and staff kindly explained me everything from food to use of the beautiful onsen. My strongest recommendation and a big thank you for this unforgettable experience. PS: tha apple was fantastic! From the moment we arrived we were treated like special guests. The food, the accommodation, the experience was the highlight of our Japanese holiday. We highly recommend this establishment. The traditional Japanenese breakfast was educational and superb. The traditional Japanese room was lovely as was the night time bathing. I choose this Ryokan for my husband and I to celebrate our anniversary and it did not disappoint. It was a long journey to get to from Tokyo and we checked in after 10 pm and one of the owners surprised us by meeting us at the train station and finding us so we didn’t have to walk and find the hotel. Then they gave us free transportation to the monkey park which was great. We chose to take a taxi back from a nearby restaurant to the snow monkey park and it only costed us about $25. Not bad. The onsens were beautiful and we were able to have a half hour each day to use the Onsen privately. The Ryokan was quiet and peaceful. If you want somewhere relaxing and intimate without hustle and bustle than this is the place for you. However, there isn’t a whole lot to do in the area without taking a train except trying different food places which is what we were looking for. Perfect relaxing getaway! Tawaraya Ryokan is a fantastic place to stay in Yudanaka. The staff are attentive and will help you with anything they can. They even gave us an origami ornament to take home, which we will definitely display at home with fond memories. The room was large and very warm and the toilet was great. You are provised with a yukata as well. There is no shower as you are expected to use the baths. This is not a problem at all and the bath is amazing for those aching joints after a days hike to the snow monkeys. All in all I would definitely use the ryokan again. Thank you Tawaraya for a brilliant stay! Clean, well-run ryokan with nice onsen for men and women. Private onsen time for couples in the outdoor onsen was a big plus. Breakfast was good Japanese breakfast. Of course as a Westerner, Japanese breakfast isn’t quite scratching the breakfast itch. But, it was good for Japanese breakfast. The staff were very attentive and helpful for all purposes. They even give you a ride to the snow monkey park, from the station, and to the station when you leave. This pleasant, small ryokan is perfect for a short stay. The staff was extremely helpful, kind, warm, and speak English well. 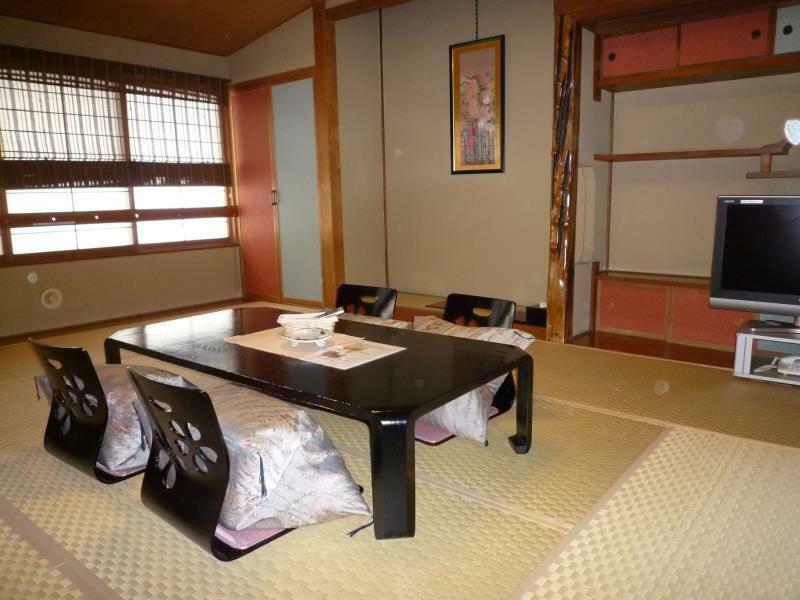 The rooms are clean, neat, and typical ryokan style. The baths are good, the outdoor bath is superb, and there is ample opportunity to have the bath for private use. Apparently dinner can be arranged but we were too late to do so. Instead a staff member kindly helped us to locate exactly the type of restaurant we wanted. We stayed at Tawaraya Ryokan for two nights, and could not have asked for a more perfect experience. While the ryokan in itself may not look extraordinary at first glance, its staff makes it just that. They are absolutely amazing, so helpful, sweet and thougthful. One of the best "hotel" experiences I have ever had, although I would not call this a hotel. We felt perfectly taken care of upon entering the doors. The staff knew exactly what we wanted at all times, they gave us a ride to the snow monkey park, they reserved a table at a Michelin star restaurant in Tokyo for us, remembering to tell them about my shellfish allergy of course, they even cleaned off and dried our shoes after the visit to the monkey park, as they had become wet and dirty. We had both breakfast and dinner at Tawaraya and both were delicious and attractively presented. Among the highlights was an egg cooked in the hot spring water! The onsen was so nice and relaxing, we even got to experience it while it was snowing! 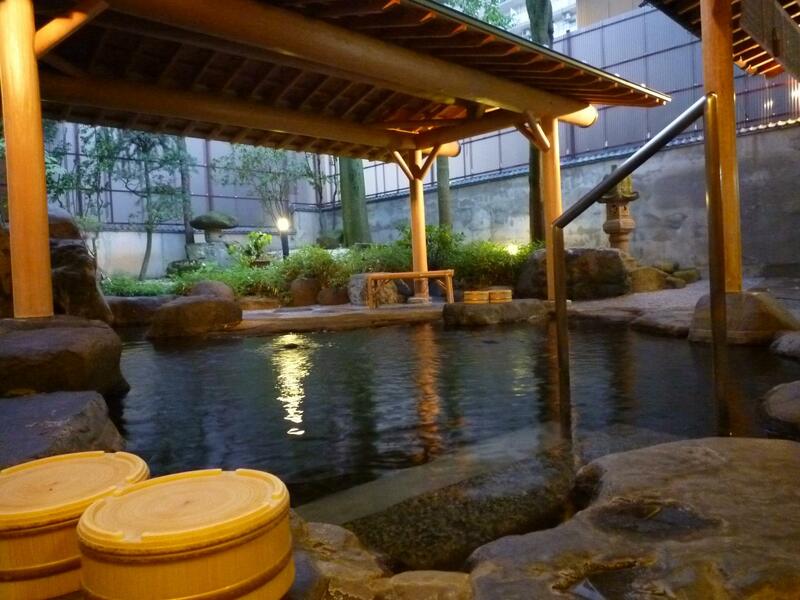 It was easy to book the outside onsen for private use both evenings we were there. When we checked out we received the most beautiful mobile made of origami swans. Thank you! They also gave us a ride up to the train station. I would love to go back! This place is fantastic. Being able to walk in from the snow and jump in an onsen is go good. The staff were lovely and the rooms spacious and comfortable too. It's also only a 25 min bus to Ryoo ski park if you want to fit that in to the trip. I'd recommend Tawaraya to anyone. I have never given five stars to an establishment before, but this traditional Japanese inn deserves it. The gracious hostess is so kind and attentive. Highly recommended.